I think it's safe to say that of all the games about punching giant, child-stealing, hermaphrodite bird monsters in the face, Zeno Clash is easily the best. 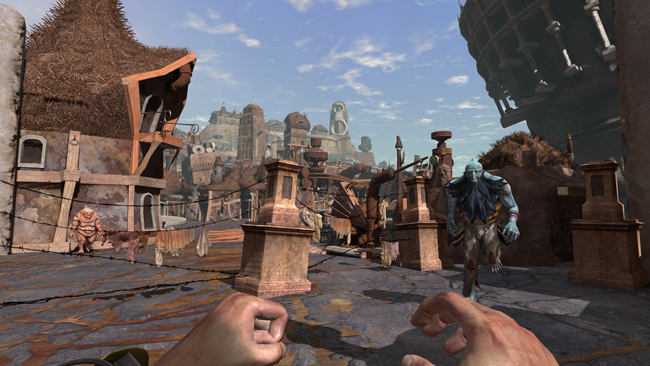 The bizarre first-person brawler was met with both confusion and delight when it launched in 2009. While it didn't make a fortune, it sold well enough to convince Chilean developer, ACE team, to start work on a sequel. According to lead designer, Carlos Bordeu, Zeno Clash II should be hitting shelves this spring. During the development of Zeno Clash, ACE Team consisted of 8-9 artists and just one coder, and that showed in the final product. 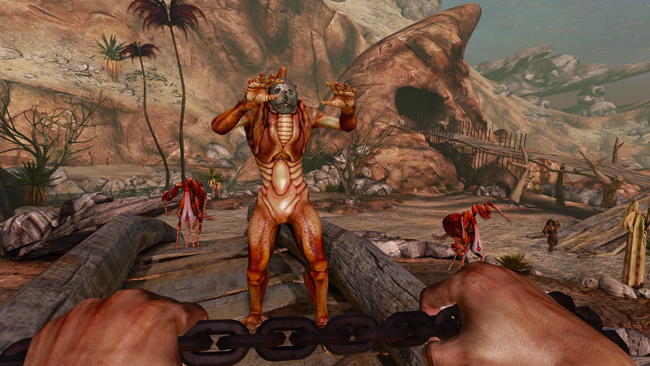 The game's combat wasn't bad, but it paled in comparison to the visual design. 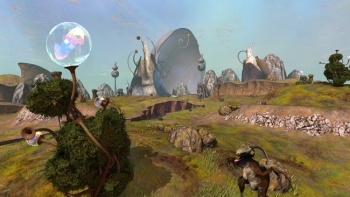 With an art style pitched somewhere between Oddworld and the work of Hieronymus Bosch, Zeno Clash depicted a universe that was often funny, occasionally frightening and always fundamentally alien. It was Double Dragon by way of Salvador Dali and it was glorious. 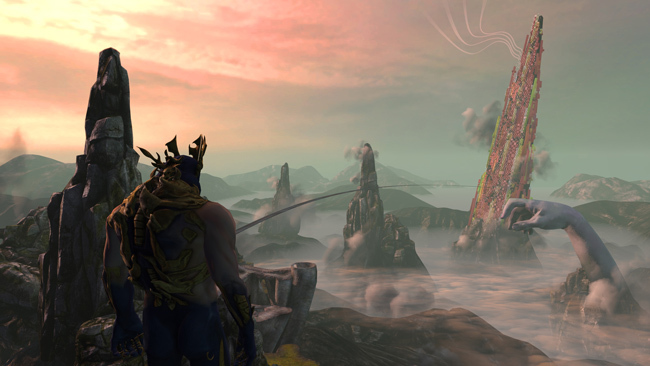 There's a handful of Zeno Clash II screenshots available on the game's official website. 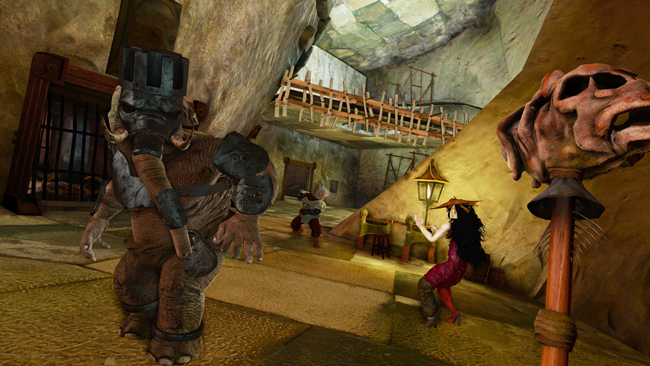 The most sensible one depicts a man fighting an elephant clad in makeshift armor. I have no idea why he's fighting said elephant, and judging by the muddled narrative from the first game, I'll likely be just as confused by the time the credits roll. All I know is that I really want to fight that elephant. 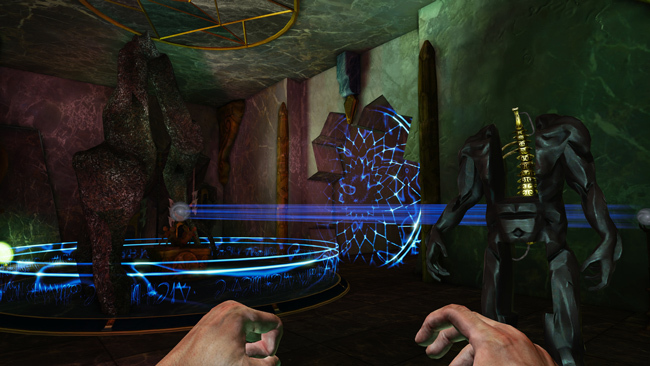 Zeno Clash II is tentatively scheduled for a spring, 2013 release on 360, PS3 and PC.